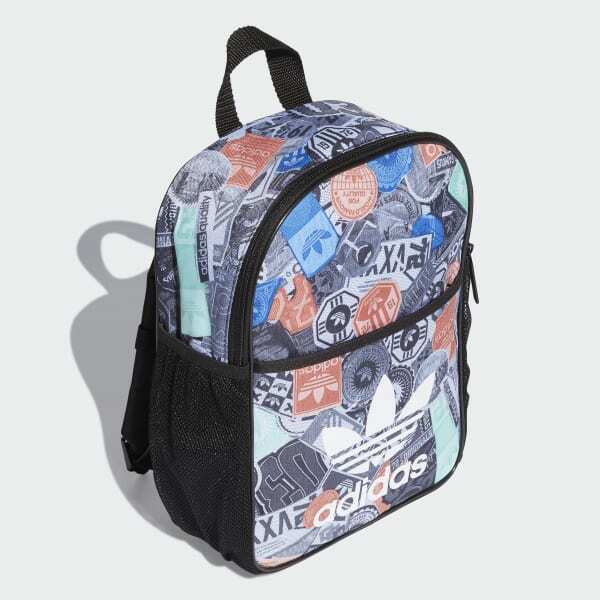 A kid-sized backpack splashed with a colourful, sticker-style print. Made for a kid's daily adventures. This mini backpack is covered in a colourful, sticker-inspired print. The kid-friendly design includes comfortable padded straps, and an extra buckle closure at the chest to keep the bag secure and balanced.